Local vegans (and hungry people in general, for that matter) prepare to say many thank-yous to Kirsten Taggart. By the end of May, your life (and diet) will be a lot greater thanks to her. 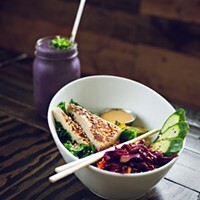 She’s the brains, and culinary skills behind the Wild Leek Food & Juice Bar (2156 Windsor Street, 210-5335) the vegan restaurant that’s in the process of taking over the former Gracious Indian’s space, brightening things up with a bright green coat of paint. After studying culinary arts, and working with many styles of food, in many cities across the country, Taggart moved to Nova Scotia five years ago, around the same time she went vegan. 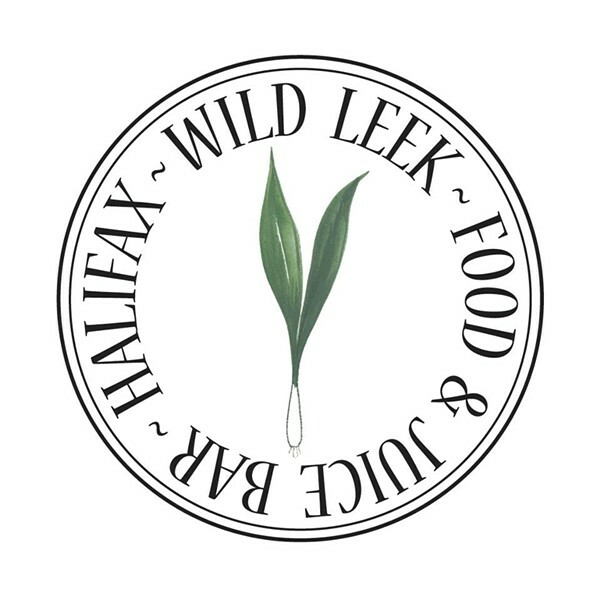 Her realization of her lifestyle-meets-work dream is the Wild Leek, offering a fully vegan menu, daily specials, quiches, soups breakfast burritos and fresh juices and smoothies. This resto isn’t just aimed at vegans, but good food lovers. “You don't have to be vegan to eat vegan food. It’s just about the experience of trying something new and fresh,” says Taggart who’ll offer cooking classes as well as her seasonally inspired menu, and a wall of urban art that'll change monthly. "Community is very important to me, and since I moved here it is what drives me to invite others to share my space and love."